15.8 million tourist visited Dubai during 2017 and considered one of the most beautiful cities in the Middle East. 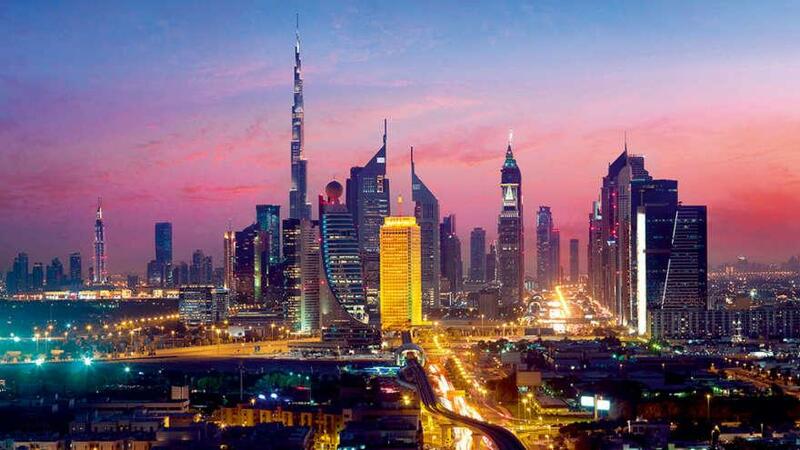 Dubai is one of the main and most populous cities in the UAE where islands have been built with beautiful luxury hotels and extravagant shopping centers that are attractive tourist destinations. Located on the southeast coast of the Persian Gulf, Dubai is the capital of the Emirate of Dubai and considered one of the most fascinating and developed cities in the Middle East. Sprouting up out of the desert, Gulf News reports a whopping 15.8 million tourists visited Dubai during 2017, making it one of the most happening tourist meccas in the world. Mega-malls, 5-star hotels, a thriving art and design ecosystem, and a constantly evolving food scene, something is always happening. Home to the Burj Khalifa (the tallest man-made structure on earth), as well as the Marina where the tallest residential buildings in the world were built, the many skyscrapers offer an amazing skyline view. One of the main draws for visitors is the more than 300 days of sunshine and over 600 miles of white sand coastline, one can simply relax and lay in the sun, skydive, or hang glide over the gulf for an adventurous time. A place where you have the city, desert, and sea in one place. The country is described as transient. Many come, stay, and leave. However, 97% of Dubai’s population say they feel safe in the UAE, with most having had little to no experience with crime. 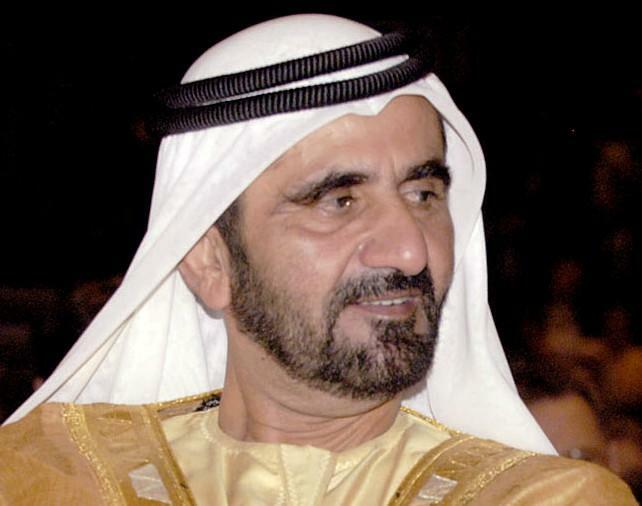 Sheikh MohammedSheikh Mohammed bin Rashid Al Maktoum, 68, is the billionaire Vice President of the UAE and Ruler of the Emirate of Dubai. Since his accession in 2006, after the death of his brother, Maktoum has been credited with the growth of Dubai into a global city. Named one of the “richest royalty” in the world by Forbes, the Sheikh’s personal life is a well-guarded secret, though he is widely known for his love of horse-racing. In fact, he shares his passion for horse-racing with the Queen of England and meets her at the Royal Ascot each year. Despite the accolades, in March 2018, allegations of abuse were made via video by Princess Latifa bin Mohammed Al Maktoum, a daughter of the Sheikh. The princess alleged being incarcerated for more than three years in a family-owned compound where she was also tortured. Daily Mail has reported Princess Latifah claims she was drugged in a hospital to stop her from rebelling and escaping. Though Daily Mail has not been able to verify her claims of abuse and incarceration, Mail Online has reported the princess fled Dubai in an attempt to live a normal life, leading some to believe Princess Latifa may be the richest runaway in the world. Reports recenly Princess skydiving surfaced indicating Princess Latifa received help escaping by a former French spy and was hiding on a yacht off the coast of southern India. She expected to seek asylum in the United States where she had made contact with an attorney. What may seem like something straight out of a best-selling spy novel, becomes all the more real after watching an emotional video she made prior to leaving that explains, in shocking detail, her reasons for wanting to escape. But has she? Princess Latifah, 33, is one of 30 children the wealthy Ruler of Dubai has between six of his wives. In an Emirates Woman magazine article, the Princess is described as a daredevil skydiver with an undying enthusiasm for adventure and longing for a normal life. In her YouTube video, she sits humbly with no makeup, her hair tied back, wearing a simple blue t-shirt, speaking calmly as she explains her reason for fleeing Dubai. The Princess says she is not allowed to keep her own passport and if she goes out in Dubai she is assigned a driver. It has been reported she gave the video to her UK-based attorney Radha Stirling in case of her disappearance or death. NDTV reported the princess sent her last WhatsApp message to her attorney on Sunday, March 4th from a U.S. registered boat at least 50 miles from India’s coastline. During a distressed call, the princess told Stirling they were hiding below deck and said, “Radha, please help me, there are men outside,” then frantically claimed to hear gunshots. Stirling asked the princess to record the gunshots but received no reply. That was the last time anyone heard from Princess Latifah. Stirling says the princess first got in touch with her firm “Detained in Dubai” on February 26th, claiming she had escaped Dubai where she had been tortured for helping another sibling run away. She told Stirling her older sister had also fled because she was denied choices some people take for granted, such as returning home at a certain time or driving a car. After giving a harrowing account of her life in the video, she warns by the time people watch, she could be either dead or in a really bad situation. Princess Latifah was last known to be with Herve Jaubert, an American who served as a French Navy Officer, marine engineer, and spy who operated for the General Directorate for External Security, France’s external intelligence agency and equivalent to the United Kingdom’s MI6 and the United States CIA. Ironically, Jaubert has been wanted by the Dubai authorities for alleged embezzlement during the time Jaubert owned a submarine design and manufacturing company in Dubai. Now a resident of Florida, those allegations have been widely discredited. He is also an author of “Escape from Dubai,” a book recounting his own escape from Dubai. According to Stirling, Jaubert and the princess were on his yacht called the Nostromo. Finnish woman, Tiina Jauhiainen, 41, was also aboard the Nostromo, all three disappearing in the Indian ocean, while closing in on Goa, India, known to be where they were headed to execute their escape. According to UK police, information about the trio’s disappearance was sent to international liaison officers at the National Crime Agency and Interpol so they could proceed with the missing person investigation. 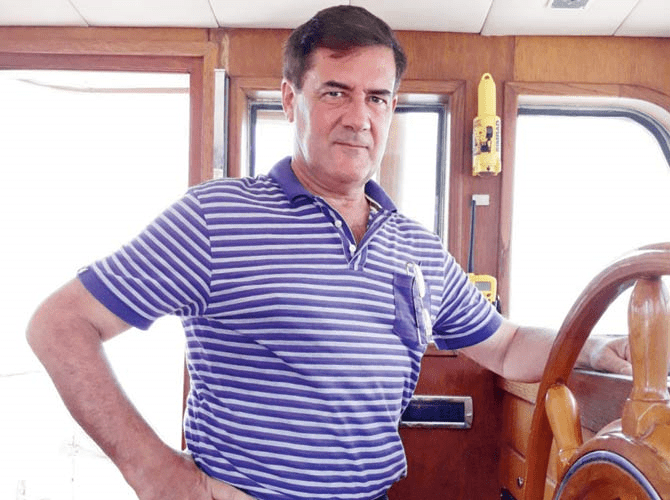 The three had maintained regular contact with Stirling until March 4th and had told the attorney they were 50 miles off the Indian shore, with plans to disembark the yacht and fly to the U.S from Mumbai. Seven hours later, Stirling received the distress call from the princess saying she was hiding inside the yacht, and men were outside. The princess then reported hearing gunshots. Directly after, their communication stops permanently. Princess Latifa and Tiina Jauhianinen had become good friends prior to the princesses’ disappearance. 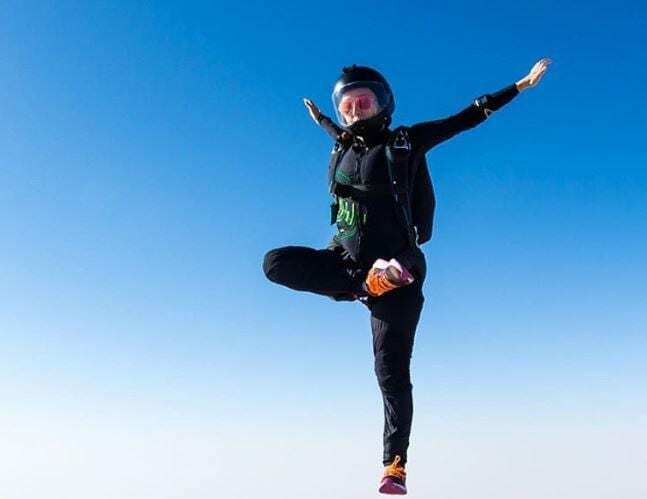 According to the Jauhianinen family, Tiina and the princess had met each other through their passion for skydiving and over the years became close friends. 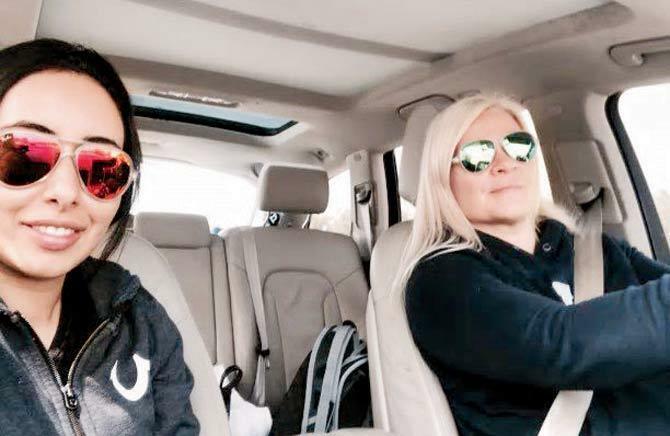 Princess Latifa referred to Tiina as “my angel” and the only person “I can talk to about anything.” Tiina was also the princesses’ martial arts instructor and personal trainer. After learning of Princess Latifa’s tortuous life, Tiina and the princess set out to find Jaubert, now a public figure and famous for his book. Tiina needed help getting the princess out of Dubai and Jaubert was a logical choice to ask for help. Tiina had maintained regular contact with her family, but the last time Tiina was seen online was the day before the princess’s distress call to Stirling. The following day, one of Tiina’s friends told the family they had heard there was a possible raid on the yacht. The family immediately contacted Finnish Police and Ministry of Foreign Affairs of Finland and filed a missing person report. 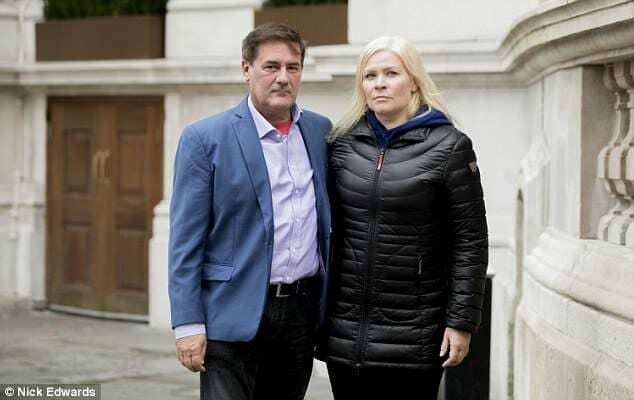 After weeks of being reported missing, in April 2018, Jaubert and Tiina suddenly surfaced. They both claimed to have been blindfolded and beaten after a hostile boarding. They were both in jail and told they had broken “Islamic Law” by assisting Princess Latifah in her quest to escape Dubai because she is the property of her father. Herve Jaubert and Tiina Jauhianinen surface to tell their own harrowing stories of being detained by Dubai authorities. Speaking to Pakistan Defense News from London, Jaubert claims he had attempted to bring the princess to a western country. He confirmed Tiina was on board, along with Princess Latifah and three Filipino nationals who were part of the crew. Jaubert indicated he was en route to Mumbai and planned to fly everyone to the US from there. However, near Goa, the Nostromo was intercepted in a joint operation by India and the UAE, an act Jaubert considers a criminal conspiracy. Jaubert tells how he noticed three vessels ghosting him on radar and he knew he was being followed. Then, two speed boats containing six to eight men carrying laser pointed assault rifles, faces covered in helmets and masks rushed the yacht. They proceeded to use stun guns and smoke grenades to neutralize the crew. He was ordered to raise his hands above his head or they would kill him. With an assault rifle in Jaubert’s face, he complied and the men proceeded to handcuff him and beat him. “No warning, no warrant, no charges, no explanations, no questions, nothing, just unnecessary brutal force by thugs,” said Jaubert. The men proceeded to go to Princess Latifa’s cabin and said, “Come on Latifah, let’s go home.” Jaubert described how they forcefully grabbed her while she was screaming she would rather be killed right there on the boat than go back to the UAE. She repeatedly claimed political asylum but was ignored. Next, at least ten people from the UAE boarded the vessel, some crew, and a captain, the others were special forces, not a private contractor Jaubert recalls. They were surrounded by the men on speedboats, and three coast guard warships. Later it would be reported there was a minimum of five Indian and Emirate warships, two military airplanes and a helicopter taking part in the attack on the Nostromo. The authorities transported Jaubert to a secret prison where he lived in constant fear he would be executed for stealing a daughter away from their father, the ruler of a country nonetheless. Once freed, Jaubert sailed for 13 days to Galle, Sri Lanka, abandoned his boat and flew to London. “I was in fear all day we would not make it, as it is easier for the UAE to blow up the yacht with a missile strike to eliminate witnesses and destroy evidence,” says Jaubert. He claims they let him go due to Princess Latifa’s video, and scandalous stories released in the news. “They also let me go because I was filed as a missing person and the U.S. was looking for me, “ Jaubert said. While the Indian authorities have denied any paramilitary mission occurred, the UAE has refused to comment. Concerns are growing, the Princess of Dubai is the victim of an “enforced disappearance” after attempting her dramatic escape. Jaubert believes she is being held captive and drugged in isolation for repeatedly misbehaving according to her father, the Sheikh. The scandal has raised questions about women’s treatment in Dubai. In a seemingly idyllic place, there are clearly still some women who are treated inhumanely, only creating more concern for Princess Latifah’s safety at the hands of her father. There has been no activity on Princess Latifah’s Instagram account or other social media platforms since her disappearance at sea. Unlike the ending of a tragic spy novel, friends of Princess Latifah are hoping for a happy-ending.